One of the first things anyone notices about your house is the lawn. Most residential lawns are located at the front end of the house and thus serve either as a lead up to the main entrance or frame it in a certain way. In this way, lawns are like appetizers for the main course, the house itself. 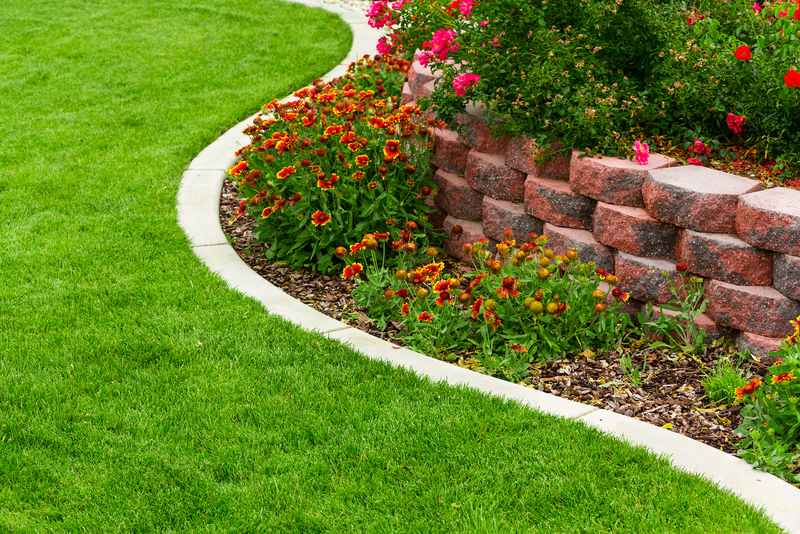 Popular belief is that landscaping is a luxury hobby, but it really is not. Landscaping refers to any action that can visibly modify any area of land. It can include the basic gardening, addition of plants or shrubbery, changing terrains, adding paths and walkways and in rare cases, fountains and waterways. Landscaping is the way to set the perfect entrance to your home. In recent years landscaping has developed into a proper profession which is a great development from the traditional gardening that is practiced in most Pakistani homes. However, what people don’t realize is that even with a common gardener, one can open so many landscaping options and do a great deal of work with limited resources. Something as simple and easy as planting a tree is landscaping? You would be surprised at how much artistically placed trees can do for your lawn. Aside from the usual benefits of trees like shade and greenery, trees can also serve as focal points in your lawn. This is because trees are plants which can be seen in comparison to the house hence, they are more noticeable and have a greater effect on ambience. However, landscaping involves more than just planting trees randomly across your lawn. If you have a large entryway, trees can be used along the pathway to create a natural corridor. If you don’t have this luxury, you can even use a single tree, and surround it with an island bed of other plants. This bed of plants can then be surrounded by stones to give it a neat finishing touch and to also define its boundaries. The part of the lawn closest to the door should in a way, welcome the person who’s entering. To get this affect, one can use nursery beds that are on either side of the door. A series of assorted plants and flowers can be planted in these nursery beds giving your home a fresh and fragrant entrance. The best part about decorating using plants is that they are natural, cheap and you can use any type which you find appealing. Typically hydrangeas and roses are used to decorate entryways so that your entrance is colorful and appealing. During construction, large amounts of earth or dirt are dug out to make space for construction. Instead of discarding it all, one can use it to add different elevations within the lawn to make it stand out. Not only can the earth be used to make elevated nursery beds, but it more importantly it can be used to create sloping lawns, which not only look good, but are a great attraction for children. All of these techniques are easy to do and can be conveniently done by your very own household gardener. More importantly, these small techniques will make your lawn more artistic, colorful and make it a nice reference point for the rest of the house.